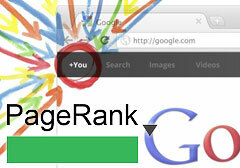 Cyrus Shepard posted on Google+ that all the pages on Google+ now have a PageRank of zero or not available. He seems to be right and many webmasters are asking why. This even happens with Google Google+ page. I think the issue is that the previous URLs for these pages were https://plus.google.com/116899029375914044550/posts and now they seem to be redirecting to a longer URL and thus the PageRank scores have to pass through to the new URLs, which can take time. 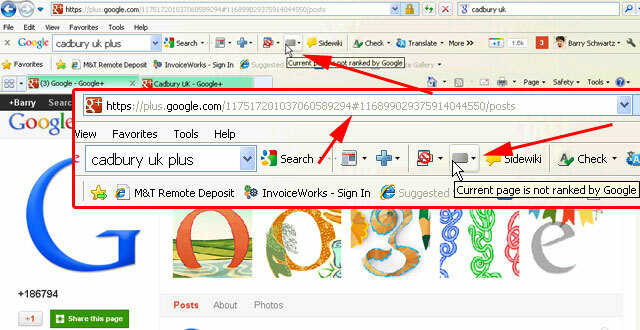 If they revert back to the previous URLs, I suspect the PageRank in the Google Toolbar to return. I personally cannot get to the old URLs to check. But maybe both URLs, new and old are not working?